We are in love with this amazing rustic wedding where fall colors meet rustic textures. The beautiful brides bouquet was abundant with dahlias, Juliette garden roses, stock, with additional elements of berries, pods, succulents, amaranthus, and olive leaves creating a lovely rustic feel. 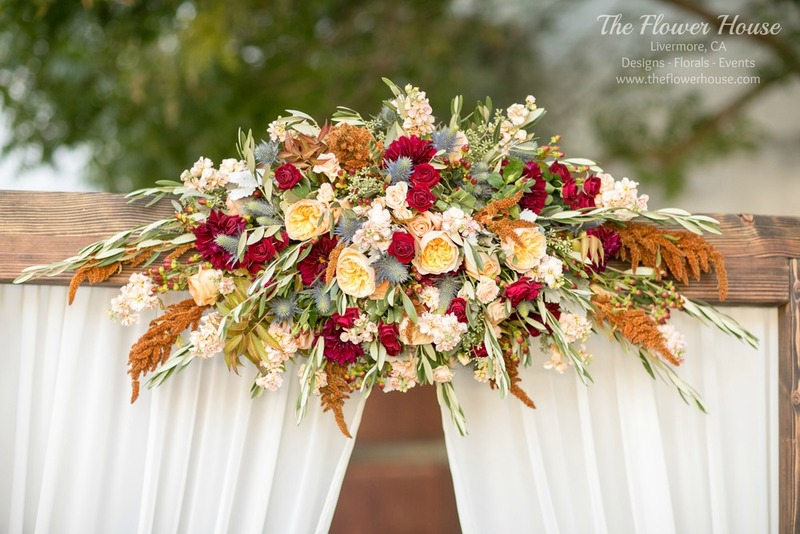 The outdoor ceremony at Wente Vineyards was adorned with The Flower House altar and ivory drapery decorated with a center altar spray in the same rustic colors and textures as the brides bouquet. The groom had a sweet and simple boutonnière of tea roses, berries, and a succulent to match his bride. The couples adorable dog wore a collar of tea roses, berries, and greens. So much fun! The reception held on the Wente Vineyard lawn was just perfect. 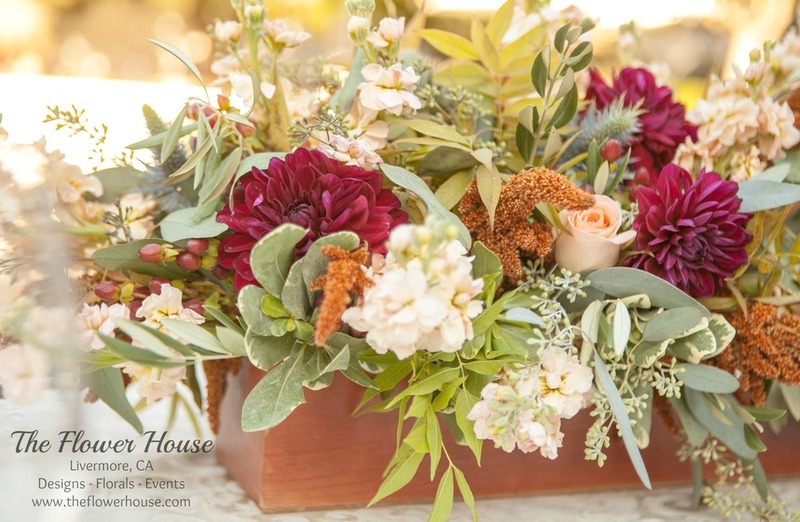 Long wood box centerpieces overflowed with dahlias, roses, stock, berries, thistle, amaranthus, scabiosa pods, and olive branches. We are so thrilled to have been apart of this stunning wedding! Thank you to Allyson Wiley Photography for the amazing photos!